Every summer transfer window, there always appears to be that one prolonged transfer that always suffers so many delays and setbacks, so much so that fans begin to question as to whether the deal will ever actually go through. Last summer, United fans experienced this with regards to the Paul Pogba saga, a deal that didn’t get officially announced until August and it seems United are experiencing the same sort of difficulties when it comes to the potential transfer of Alvaro Morata. United’s perusal of the Spanish striker is certainly no secret in the footballing world. It was of course reported early last month that Real Madrid had rejected an opening bid of £52.4m from United (Sky Sports), a seemingly fair price for a player that predominantly operated in a squad rotational role last season. Real Madrid are notoriously recognised for its ‘Galacticos’ and of course their wealthy financial situation, as they are undoubtedly a club that are never in a position of needing to sell. Following a combination of this and of course the David De Gea saga last season, something that has certainly left a feeling of distaste between the two clubs, Real Madrid seem to hold all the cards with regards to this deal. 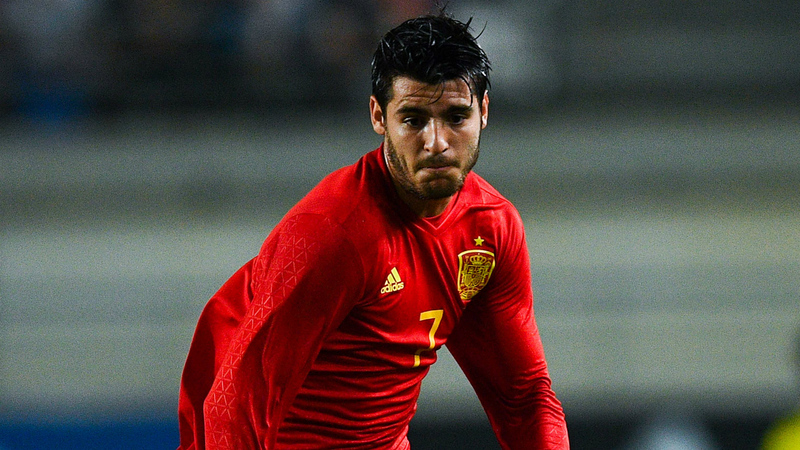 The Spanish side quickly rejected the opening bid of £52.4m, as various sources reported that their asking price for Morata was actually in the region of around £70-80m. This asking price for the Spaniard has generally caused quite a split amongst the United fan base, with many questioning this hefty price tag and others just wanting the reds to pay whatever the fee, as many fans have become a little impatient with regards to the non step transfer rumours and speculation. This price tag has seemingly however not put off Ed Woodward, the man in charge of capturing Jose Mourinho’s top targets, as it is has been reported today that United have in fact made a new bid within the region of £70m (The Daily Star). This fee, just £10m less than what Cristiano Ronaldo was sold for, would potentially make Morata the fourth most expensive player of all time and to the surprise of many, Real Madrid have turned United’s offer down for a second time. It seems as though Real Madrid are almost pushing their luck with the deal, trying to squeeze as much as they can out of United, knowing that United have the finances to do so whilst they are also not too interested in selling. With the latest reports suggesting that Madrid are now asking for £80m, one must wonder as to whether United will be willing to up their bid that little bit more and tie the deal up quickly before their pre-season tour, or simply pursue other targets.